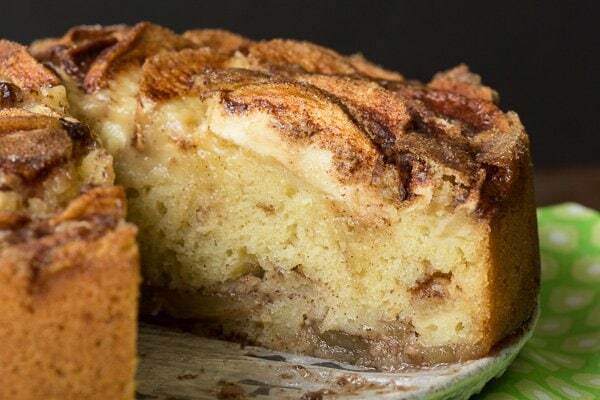 We love this tender Danish Apple Cake that’s laced and topped with delicious cinnamon-sugar apple slices. It’s perfect for any occasion! We’ve been selecting a few of our favorite recipes from The Café archives to refresh and repost. These are the ones that are just too good to be lost in the deep dark recesses of this 900+ recipe blog. Sometimes we’re adding some new photos and other times, just re-formating and refreshing the text. This Danish Apple Cake is definitely one of those too-good-to-be-forgotten recipes! My Grandparents were both from Denmark. My Grandma use to make this Danish apple cake! I am getting married at the end of September….. for my wedding cake, I am making TWO of them and putting a caramel cheesecake in the middle and I am going to top it with a caramel ganache!!!!! How fun is that? I love that this cake is elegant enough to be served for a special occasion and, at the same time, super easy to put together. 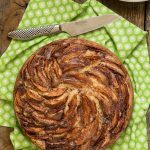 The comment made me smile, but it also made me remember how crazy delicious this dessert is; I got really excited about re-visiting this wonderful Danish Apple Cake. In Denmark this apple cake is called Æblekage (pronounced like this) which, I discovered, has a zillion different variations! I googled Æblekage and was shocked at the huge variety. There’s everything from beautiful tart-like cakes to pudding with apples layered in glasses to apple topped cakes, similar to my Danish Apple Cake. Some are made with sliced apples, some with diced apples and some with applesauce! Check it out for yourself! 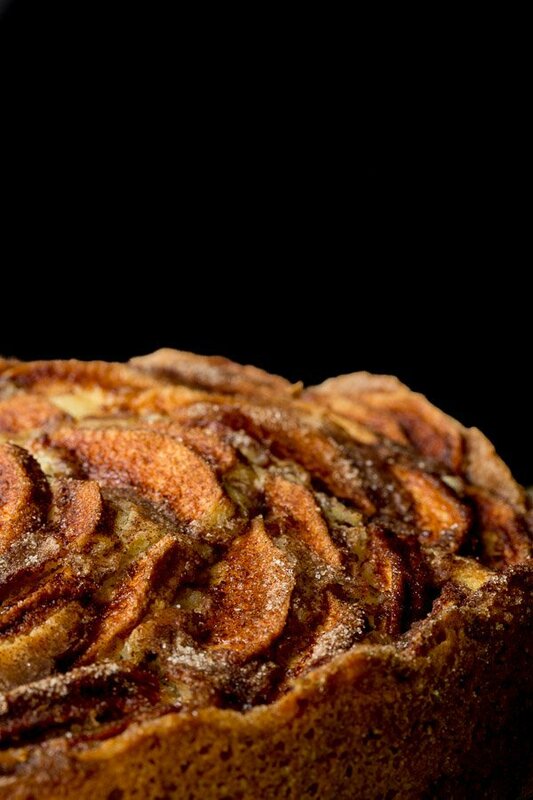 I can’t imagine anything more delicious than this particular Danish Apple Cake though. The cake itself, has an incredibly tender crumb and has cinnamon-sugar coated apples laced though it as well as on top. I remember the first time I made it. 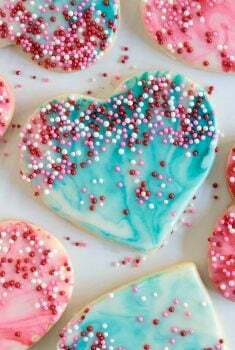 I peeked into the oven half way through the baking process and did a little squeal, it was so pretty! 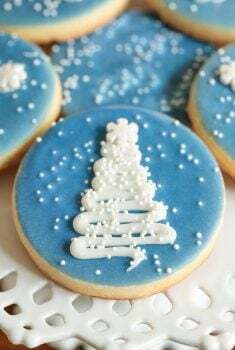 I could hardly wait to to finish baking and then, was quite impatient till it was cool enough to take a taste. It didn’t disappoint, not even a smidgen. I have a feeling this Danish Apple Cake will be my go-to dessert for the fall season and I know you’re going to love it too! 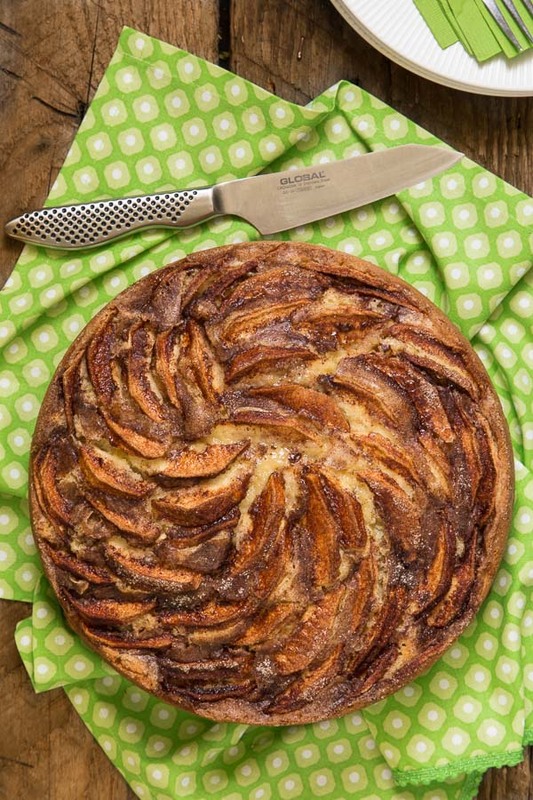 You’ll need a 9-inch springform pan for this Danish Apple Cake. 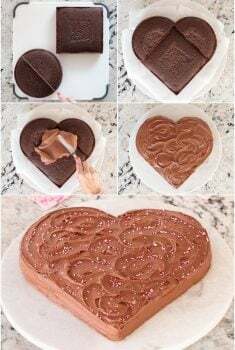 In a pinch, you could use a 9-inch cake pan lined with parchment paper (I love these pre-cut circles) but it may be more difficult to get out of the pan. If you don’t have a springform pan, it’s a worthwhile investment and they’re not horribly expensive. Springform pans come in handy for lots of sweet and savory dishes. I love making desserts in round form as they fit under my cake dome. And it seems that everything is quite magical when it’s under a cake dome, right? This cake is not difficult to make, however, it does need about one hour and 15 minutes to bake. It’s a great thing to make when you’re going to be hanging out at home for the morning or afternoon. I arrange the apples in a circular pattern, if I have time. If you’re in a hurry, it’s fine to just arrange them randomly – it will still look very pretty! 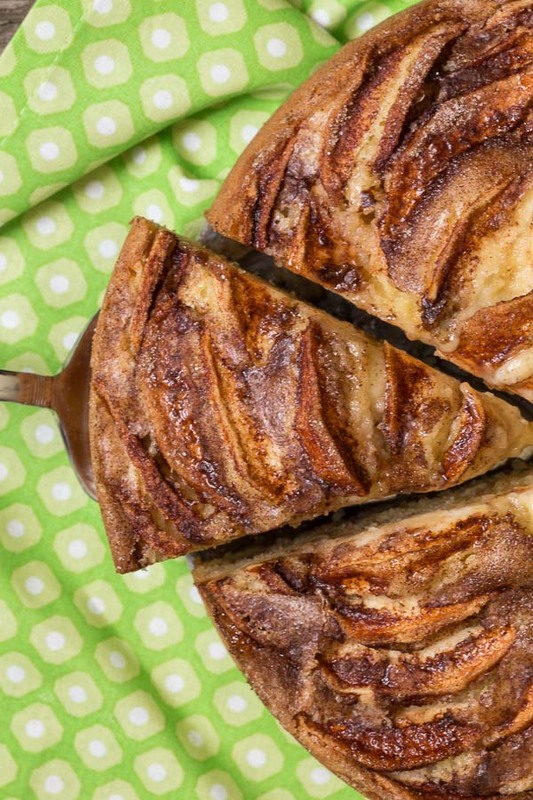 Once you pull this Apple Danish Cake from the oven, beware! The aroma is so intoxicating and delicious, neighbors may come running! In the apple mood? Another apple dessert we can’t get enough of is this Sticky Apple Pecan Cake. A Danish- inspired, super tender yellow cake laced and topped with delicious cinnamon-sugar apple slices. It's perfect for any occasion! Preheat oven to 350˚F. Line the bottom of a 9-inch springform pan with parchment paper. 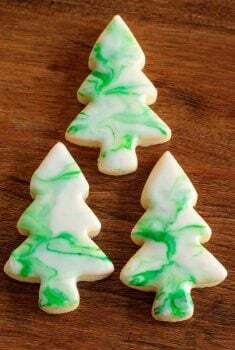 Spray the pan with baking spray and rub with a paper towel to evenly coat. In a small bowl, combine 1/2 cup sugar with 1 tablespoon cinnamon. Combine flour,baking powder and salt. Stir well. Peel and core apples, cut into quarters and then cut each quarter into thin slices. In the bowl of an electric mixer, beat butter and sugar until thick and smooth. Add vanilla then add eggs, one at the time, beating for 30 seconds after each addition. Stop to scrape down sides of bowl once or twice. With mixer on low speed, add flour mixture and mix just until combined. Combine the apples with the cinnamon/sugar mixture. Add half of the apples to the prepared pan. Pour batter over apples and smooth batter to edges of pan. Starting in the center, add remaining apples in a circular pattern on top of the batter. Sprinkle any remaining cinnamon/sugar mixture over the top of the apples. Bake cake for one hour. Cover loosely with foil and bake another 15-20 minutes or until set in the center. Check to see if a toothpick inserted in the center comes out clean. Cool on a baking rack before removing outer ring. Serve warm or at room temperature with a dollop of whipped cream or ice cream. Enjoy! I just made this cake tonight. it’s super good. most apple cakes I’ve had neutralize the taste of the apple. this had a super apple flavor. really nice. thanks for publishing this recipe. it will go in my bookmarks of cakes to make again. Thanks Alisa, we love that cake too. I’m so happy you tried it and enjoyed it! Hmmm, not sure but it sounds wonderful! Sorry, I don’t have any recipes that sound similar to that! could this be the recipe (more or less) that you’re looking for? want to make this cake NOW, but is there no liquid ???? No, the recipe is correct as written. This looks delicious. Which type of apple do you use for your Danish Apple Cake? I don’t think I’ll be able to wait for Fall to make it. By the by, my maternal grandfather was from Copenhagen. I think he would definitely approve. Hi Elizabeth, I’ve tried different types of apples in this cake but my go to apple for baking is golden delicious. I also love Fuji.